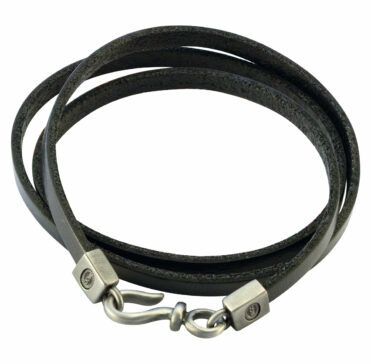 A .2″(5mm) wide .08″ (2mm) thick strap of leather with pewter connectors that triple wraps around your wrist. 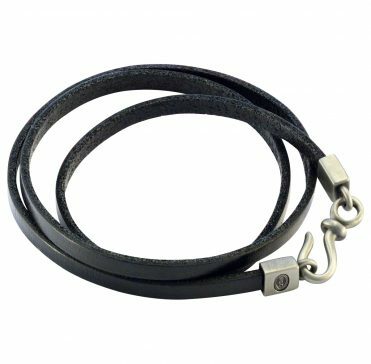 A Bico classic triple wrist wrap combining a .08″ (2mm) by .2″ (5mm) black leather strap with a solid pewter connector oxidised black and then hand brushed to create highlights and a matte finish. Comes with a Bico gift bag.